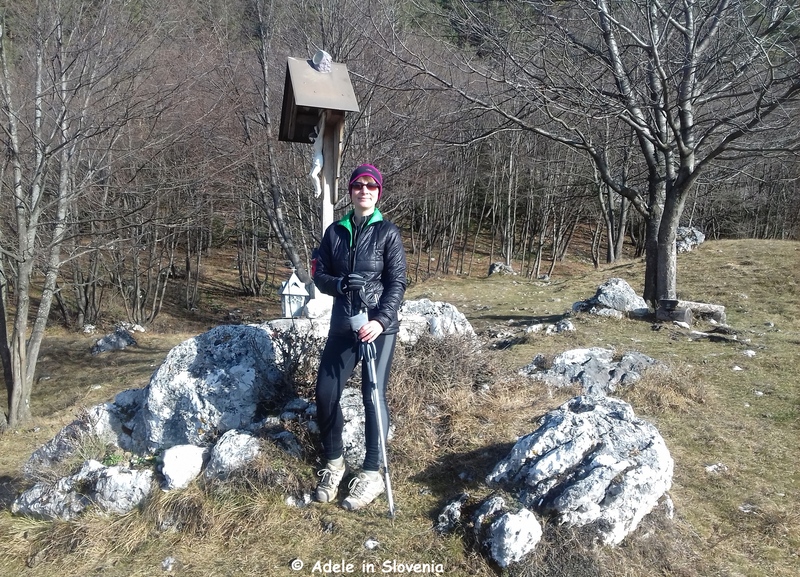 Welcome to my first blog of 2018 and my first one about a new destination that I will be highlighting this year – Žirovnica! 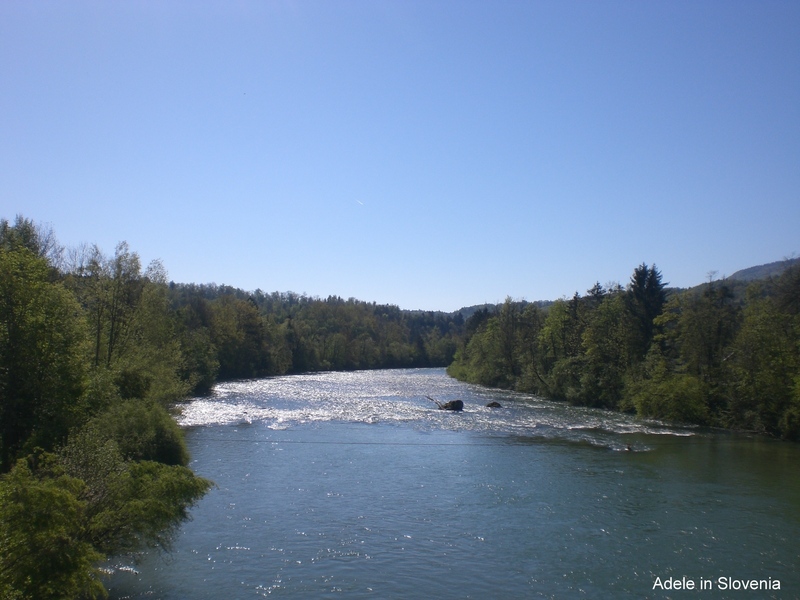 The area has a wealth of natural and cultural attractions, about which I will be endeavouring to write as much as possible in my regular blog posts. 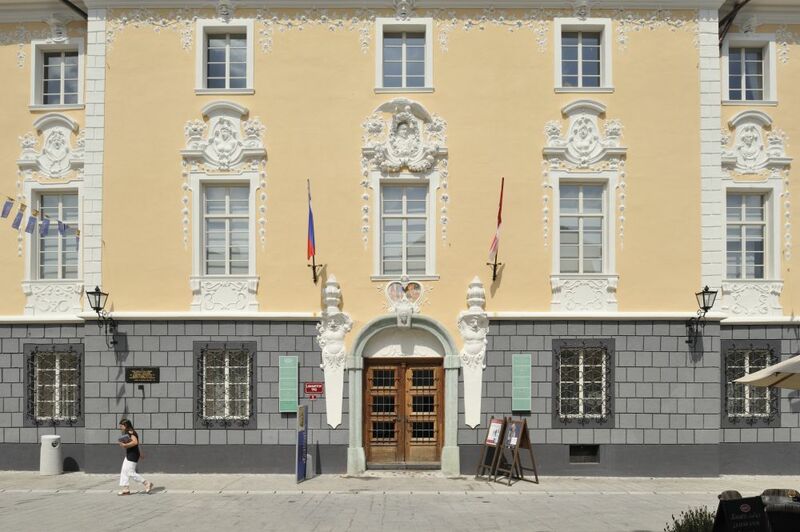 Though not so well known among visitors to Slovenia, pretty much every Slovene knows, and has visited, Žirovnica; specifically to Vrba, to visit the birth house of one of Slovenia’s most famous men and greatest poet, France Prešeren (1800-1849). 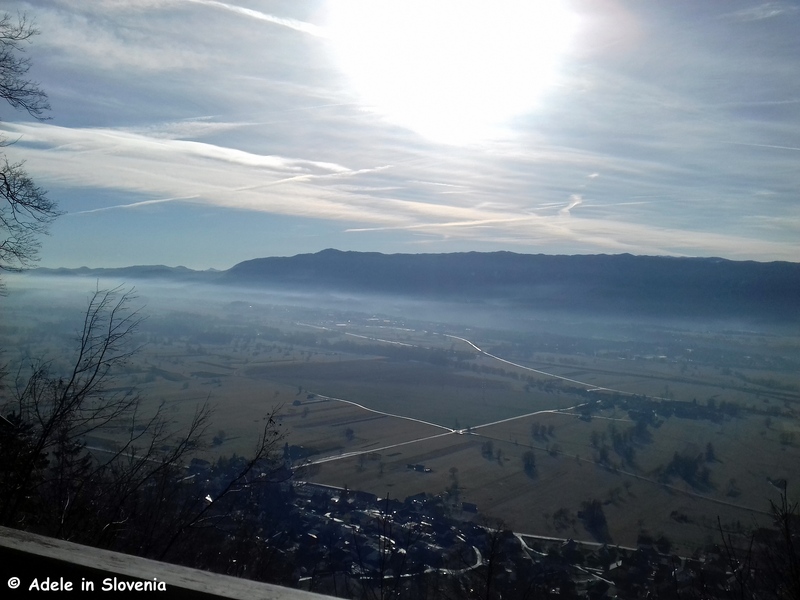 At this time of year, when the days are short and sunlight is at a premium, I like to take a walk on the aptly-named Sunny Path (Sonča pot) from Žirovnica to St. Lawrence’s church (sv. 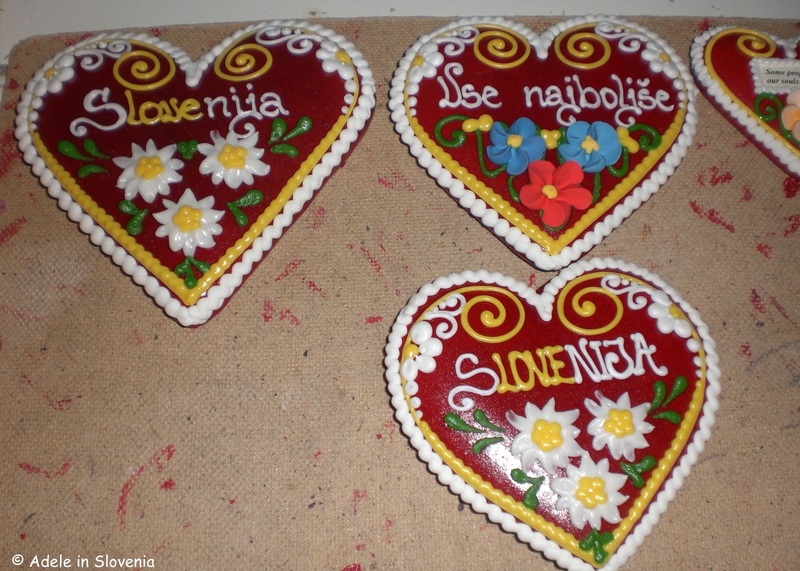 Lovrenc). You can join the path and reach the church from several places. 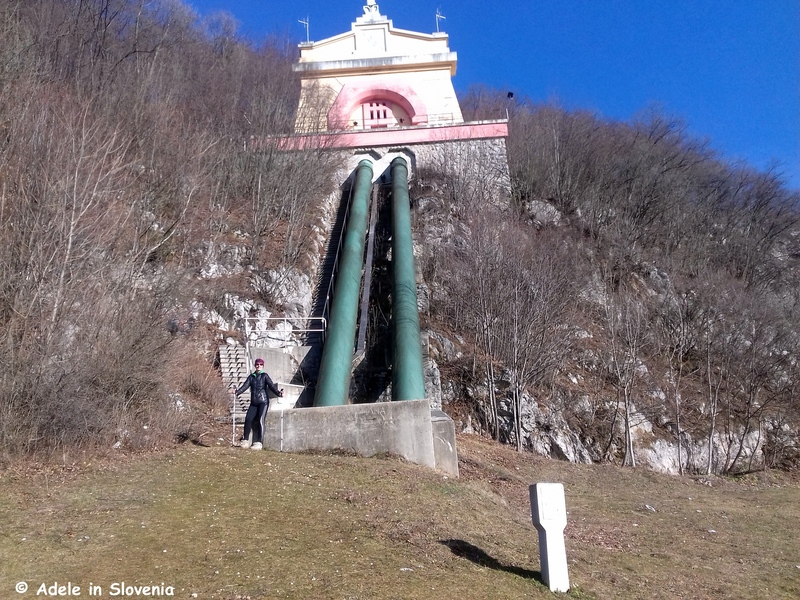 I like to park in Žirovnica then take the path that leads towards the steps that go up towards the distinctive water surge tank. Don’t go up the steps but just to the right the path, though not marked, is easily visible as it traverses the grassy meadows above the villages of Žirovnica. 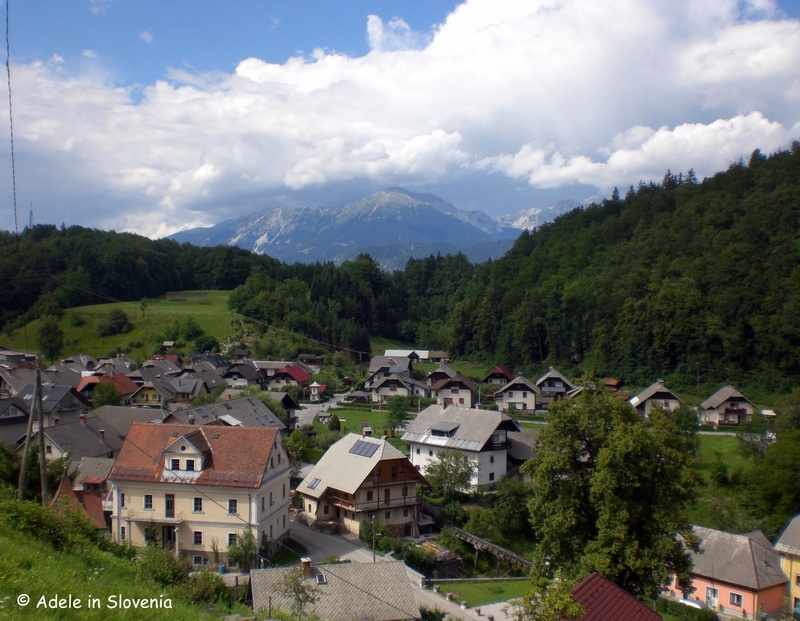 As the name suggests, on a sunny day the path is bathed in sunlight throughout the day and also offers fantastic views over the wide Radovljica plains and towards the high mountains of the Julian Alps. 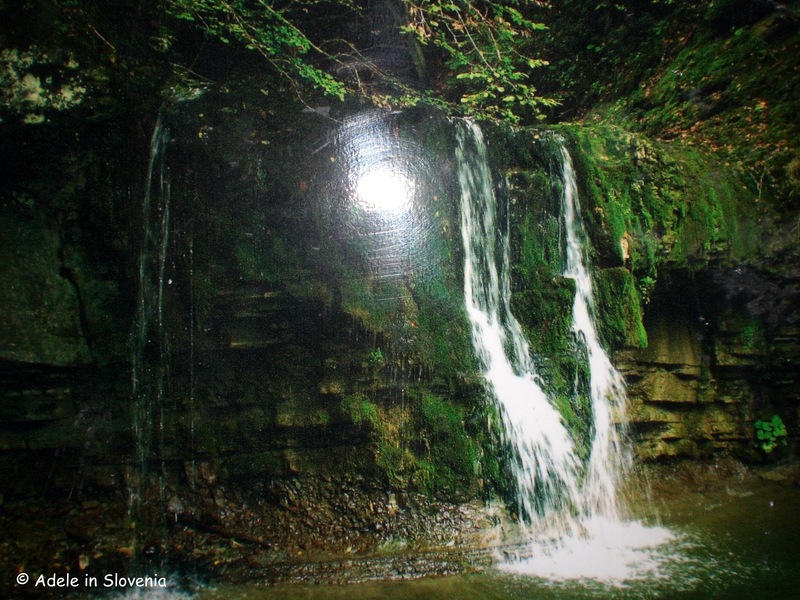 You pass a small shrine then continue on the slightly undulating terrain. 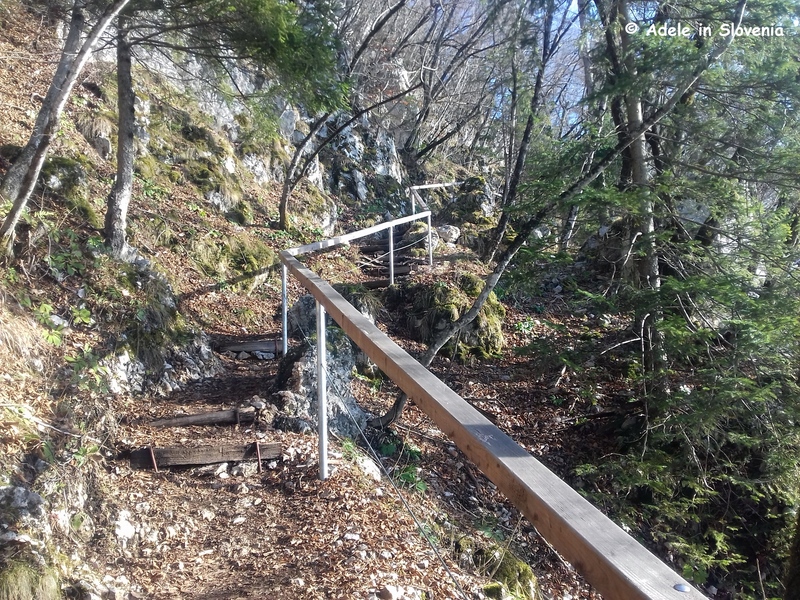 On reaching a small wooden cabin a flight of steps lead up towards St. Lawrence’s church which is nestled into the slopes above the hamlet of Zabreznica. Although usually locked, you can take a peek into the church through the windows of the main entrance door, and with a bit of nifty camera/phone angling, get a great view of the church’s ornate interior which is adorned by the Stations of the Cross. 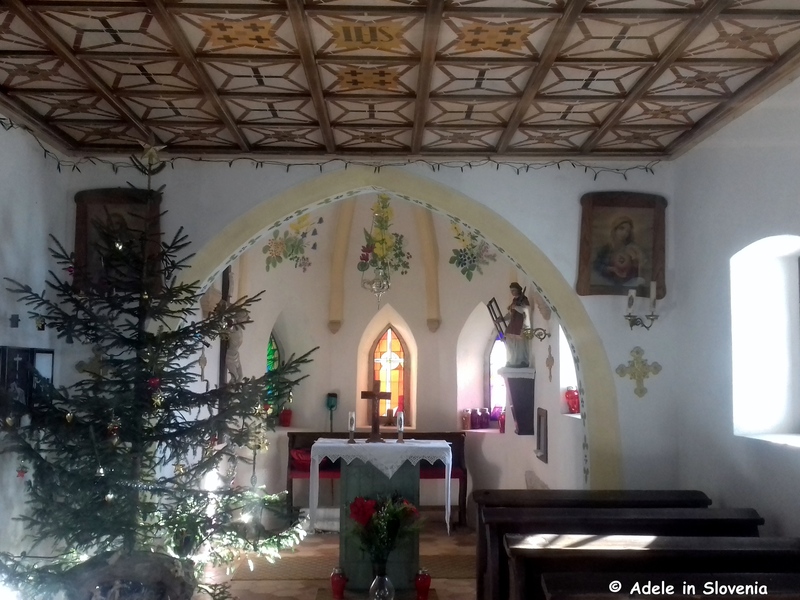 Other than its particularly unique and serene location and wonderful panoramic views, a particular feature of the church is its presbytery which has painted pictures of the flowers that are found in the area surrounding the church. 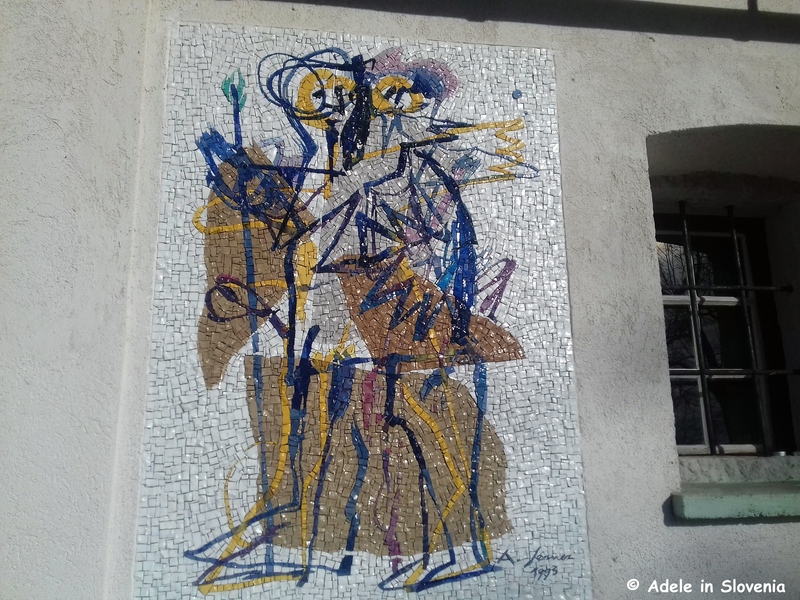 On the outside wall there is an unusual mosaic of St. Christopher. 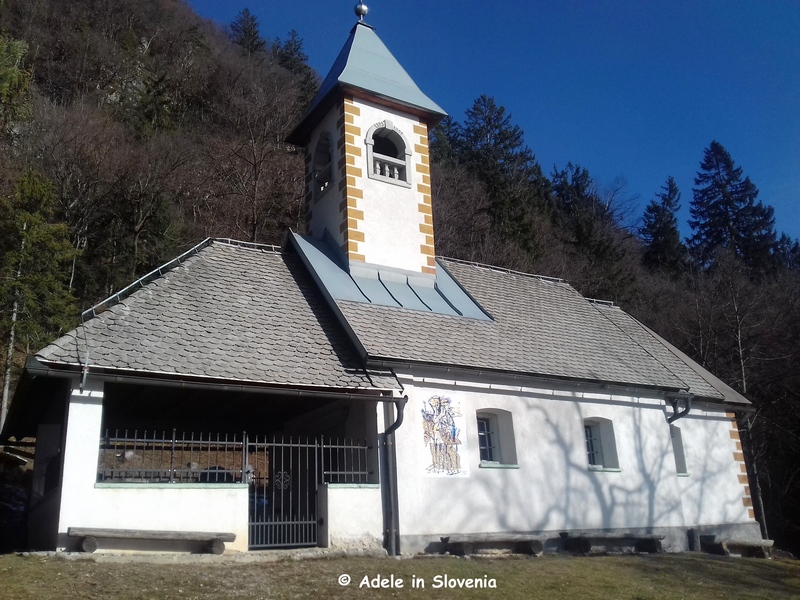 A church was first built here during the time of the Turkish invasions, but was later abandoned in 1821 when a new parish church was built in the village of Breznica. 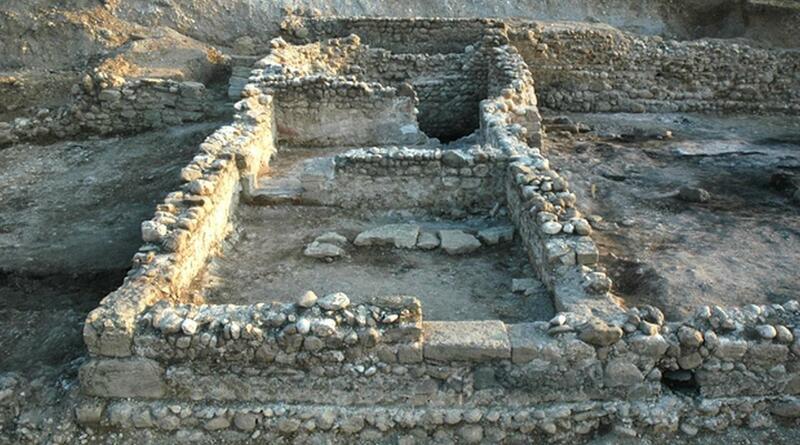 In the 1990s volunteers built a new church on the foundations of the original one. There are plenty of well-positioned benches for soaking up the rays and enjoying the view! 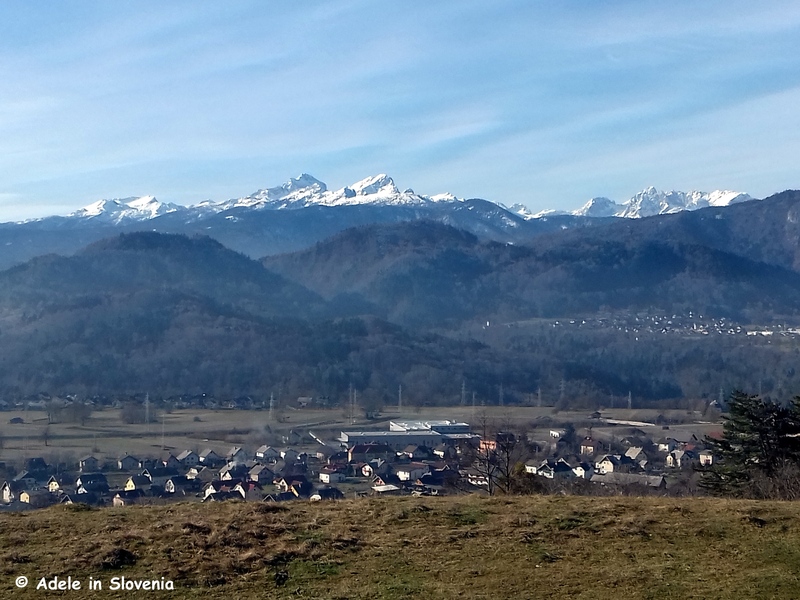 Even on a slightly hazy winter’s day, the views are pretty good, I’m sure you’ll agree! You can choose to return along the sunny path, or take the path that descends steeply and directly down from the church through the forest. 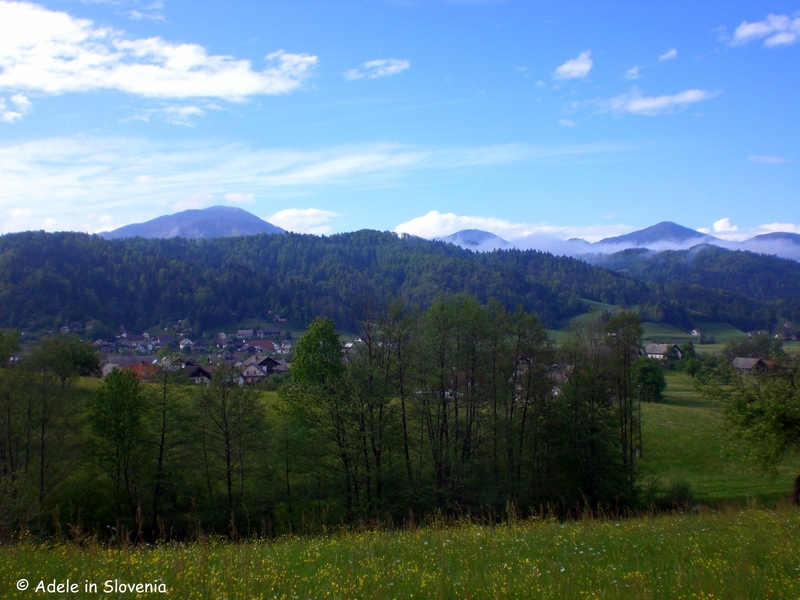 On reaching the bottom you can walk back through the hamlets of Breznica and Zabreznica to return to the start. 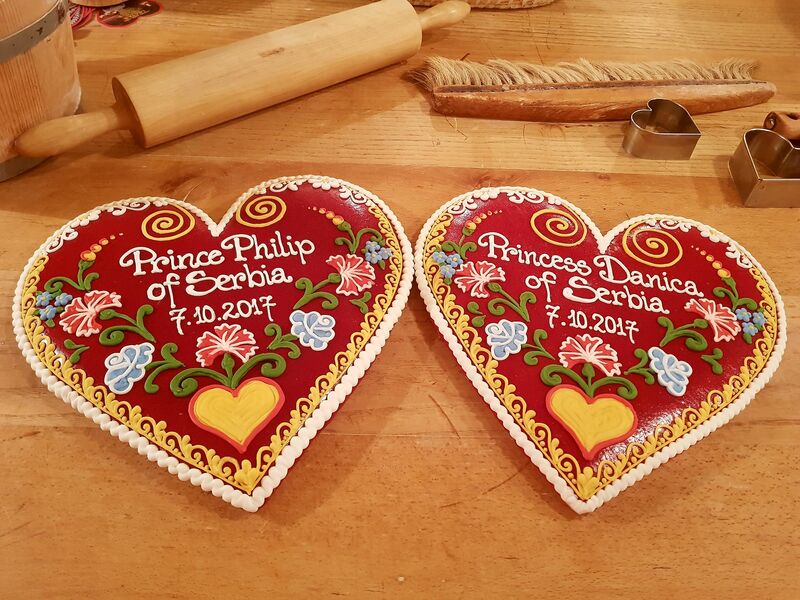 Next weekend promises to be a ‘sweet’ one in the Radovljica area – in more ways than one – since there are two events taking place, both of which promise to be tasty! 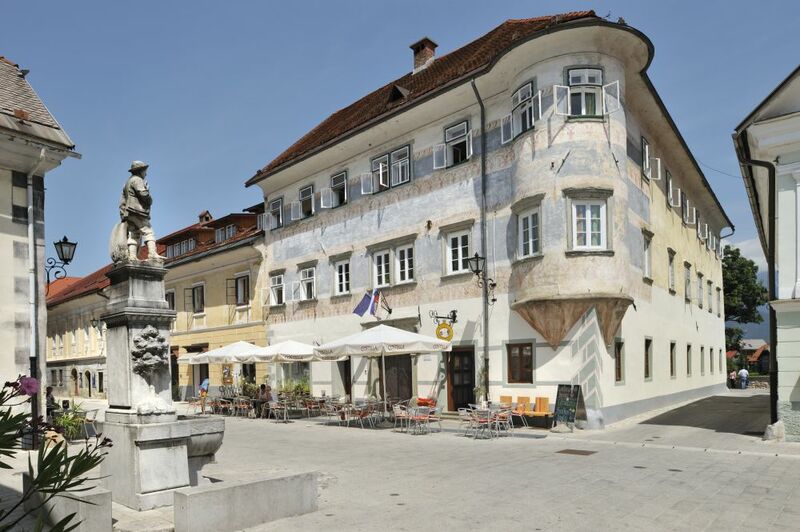 In fact, the first event – Mošnje Days – begins on Friday 22nd September. 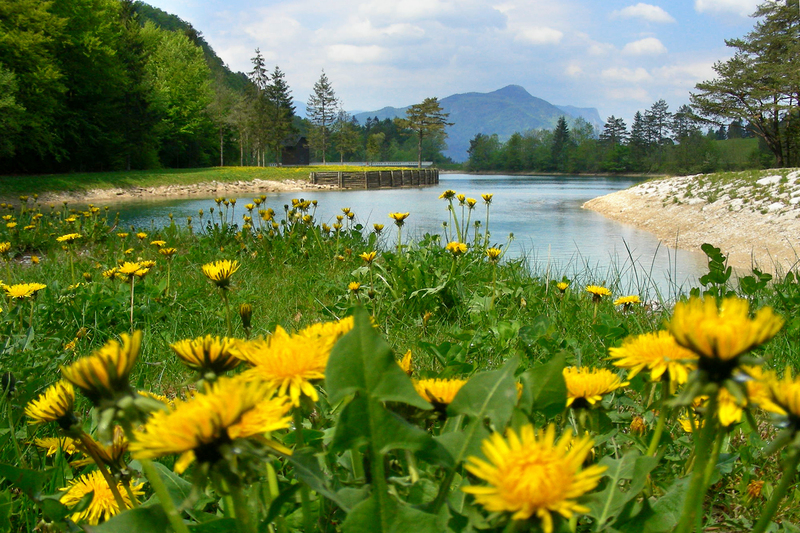 This year marks the 10th hosting of Mošnje Days and it promises to be bigger and better. This year it is particularly dedicated to Roman times, due to the Mošnje Villa Rustica archeological site – the remains of a villa dating from the 1st century which were discovered in 2006 during works to extend the Gorenjska motorway. 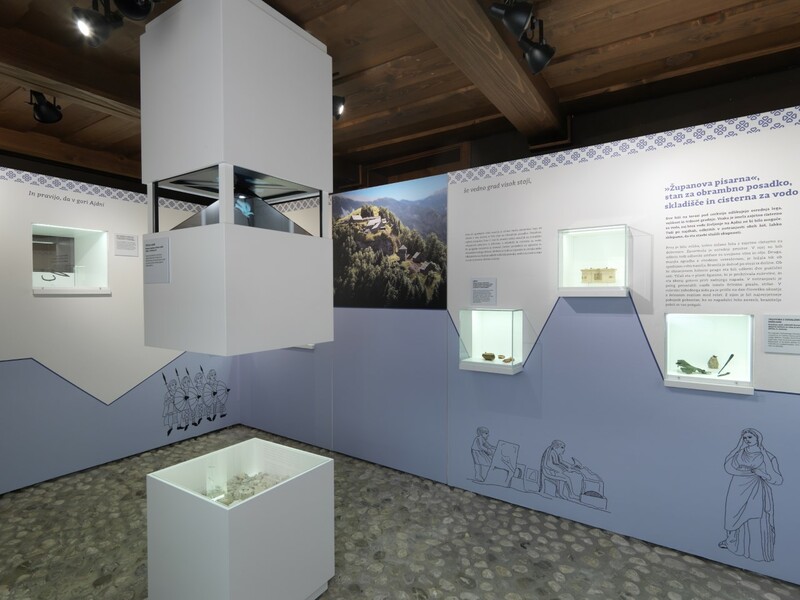 On both Friday and Saturday you can take a free guided tour of the Mošnje Ethnological Museum where you can see some of the artefacts found at the site including ceramicware, keys and jewellery whilst at on Friday at 6pm in the Mošnje Cultural Centre (Kulturni dom) you can see an exhibition of products from a 3-day mosaic workshop, which is also taking place as part of this year’s event, and watch a performance by pupils from the Mošnje primary school. 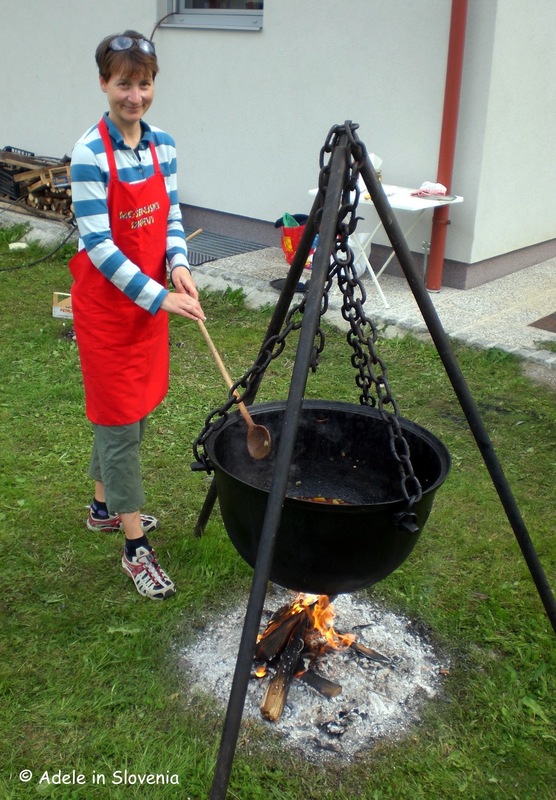 On Saturday 23rd from 1pm you can try Roman food as well as traditional Slovene dishes – there’s always something bubbling in the cauldron! 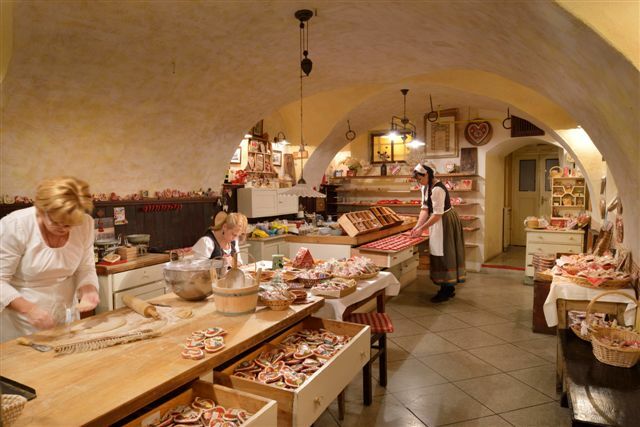 – browse and buy local handicrafts, be entertained by live music from the PROJEKT ensemble, and there will be workshops for children. 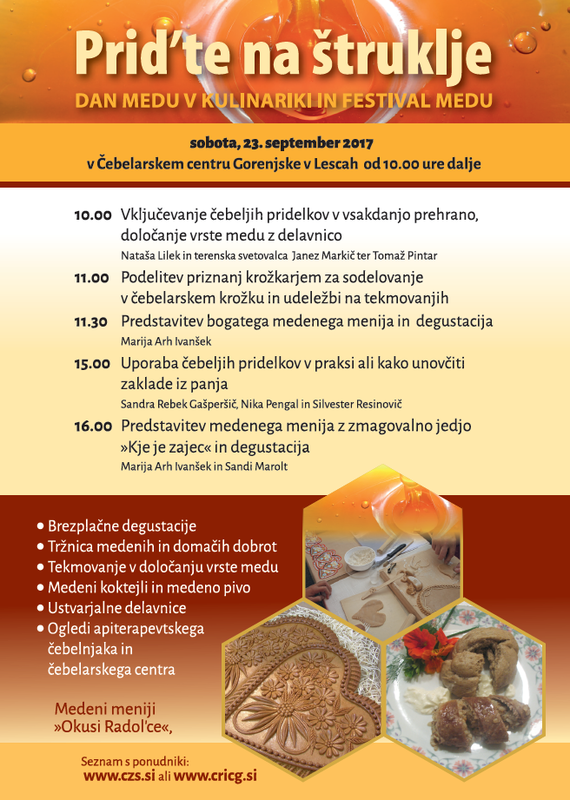 Meanwhile, at the Beekeeping Education Centre of Gorenjska in Lesce, this year’s Festival of Honey and Day of Honey in Cuisine takes place on Saturday 23rd September from 10am. 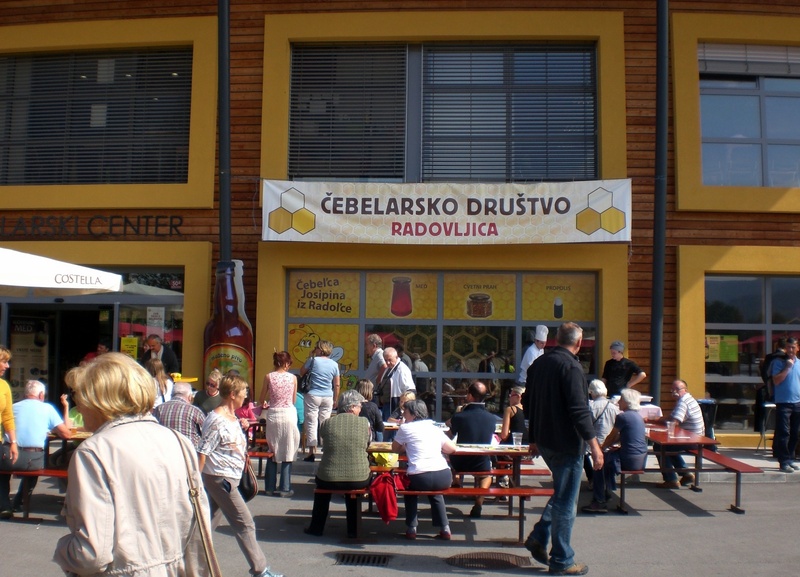 Come and find out more about Slovenian honey, taste honey and honey products, sample honey beer and honey cocktails, treat yourself or buy some gifts for friends and family, and take a tour of the centre and the apitherapy beehive. 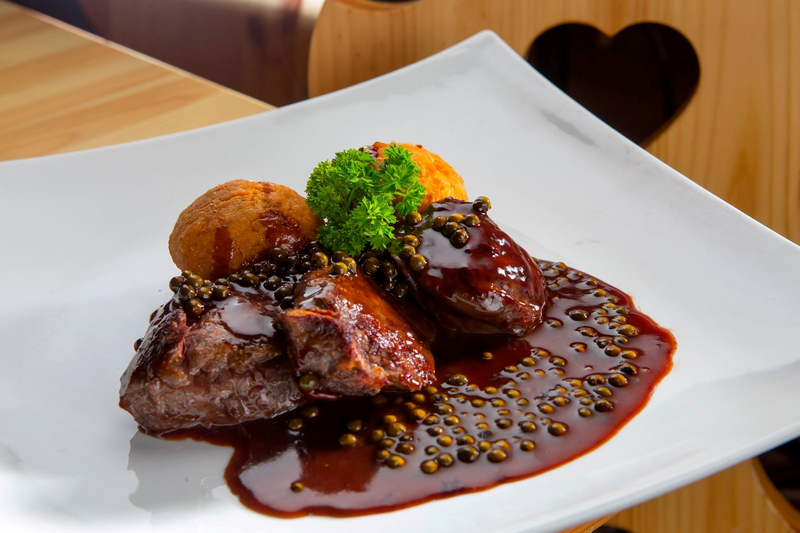 From 22nd-24th September you can enjoy special honey-themed menus at selected Taste Radol’ca restaurants; Gostilna Lectar, Lambergh Chateau & Hotel, Gostilna Kunstelj, Gostišče Draga, and Gostišče Tulipan, with 3-course menus costing just 15 euros per person (except Kunstelj Inn – 25 euros). I’m looking forward to the ‘sweet’ weekend ahead. Do come and join the fun, too! 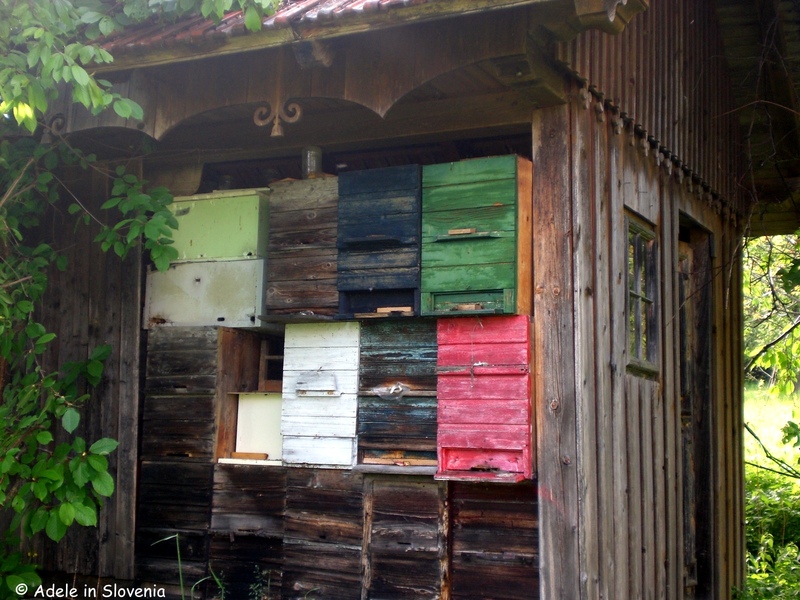 The Beekeeping Path in the Poljane Valley was established by the Blegoš Beekeeping Association, whose beginnings date back to 1911. 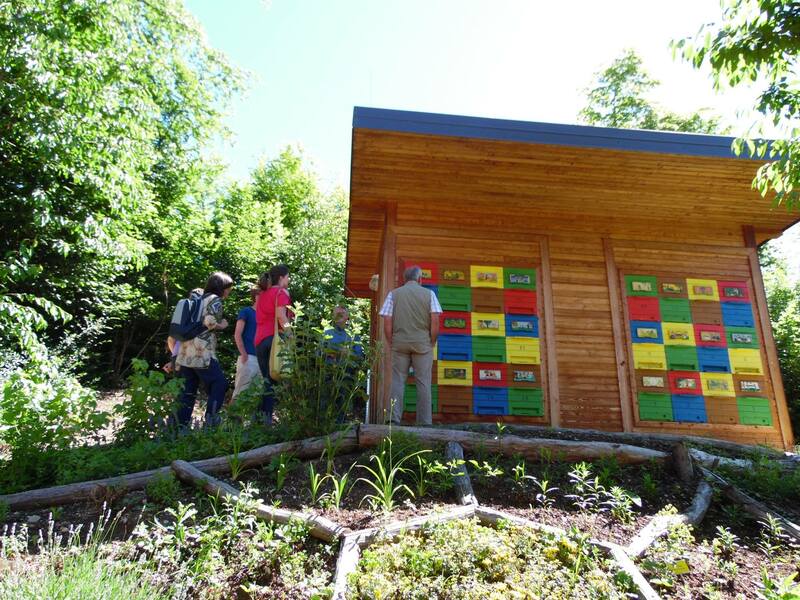 The idea behind the path is to allow beekeeping enthusiasts, as well as lovers of hiking and nature, to discover the beauty of the countryside beneath Blegoš – at 1562m Blegoš is the highest of the areas peaks, as well as uncover a part of its history, taste delicious honey and honey-related products and learn more about beekeeping in the Poljane Valley. 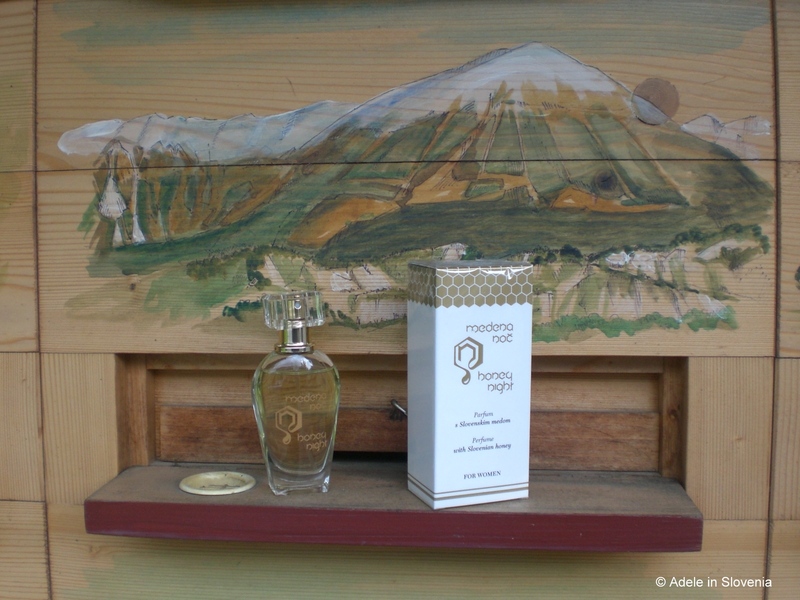 The path begins at the Pri Jakuc – Inglič farm (Kmetija pri Jakuc – Inglič) where the owner, Stefan Inglič, has created a mini museum of all things beekeeping, an area for tasting and buying honey and honey products, and, of course, keeps his beautiful bees in an equally beautiful hive! There are information boards at the start and at other main points of the route as well as green and yellow signs. 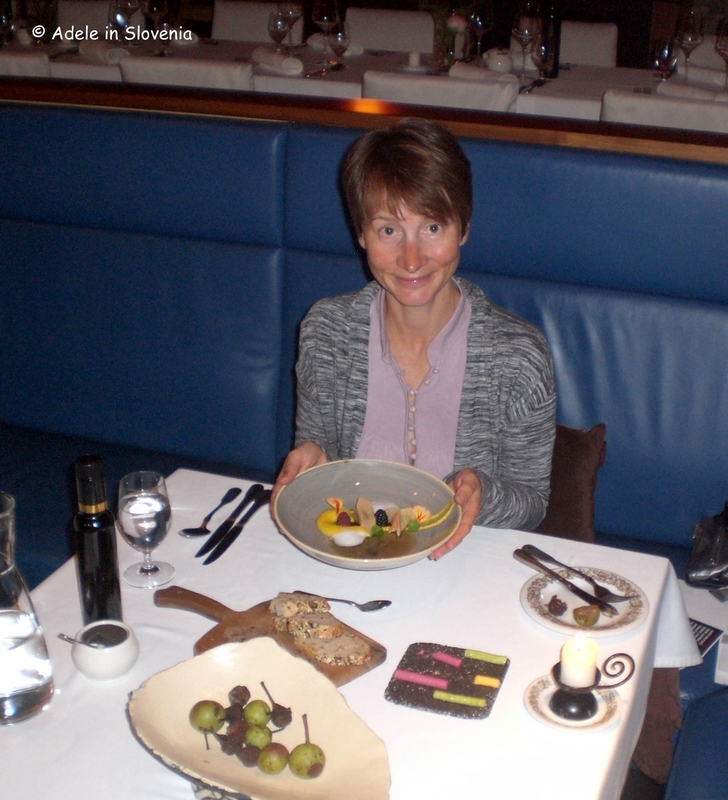 I recommend beginning with a look at the small museum where owner Stefan Inglič will acquaint you with his collection. 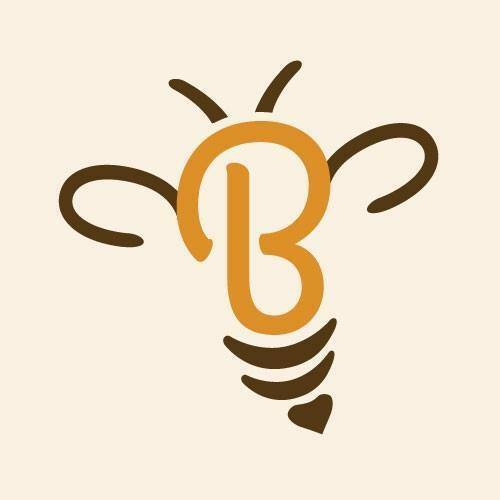 Of course, whilst there you will want to try, and maybe buy, some of the local honey which is produced and sold under the label ‘Med izpod Blegoša’ (Honey from beneath Blegoš), as well as other honey products such as liqueurs, propolis, candles etc. 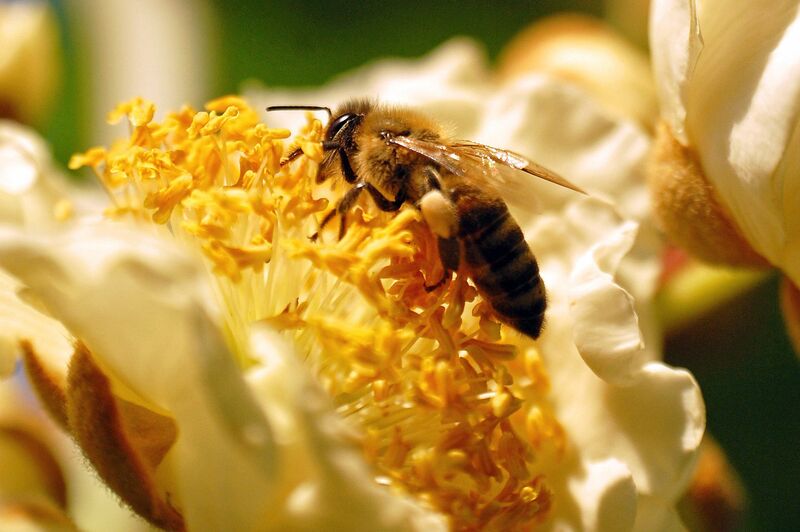 There are 12 points of interest along the Beekeeping Path. 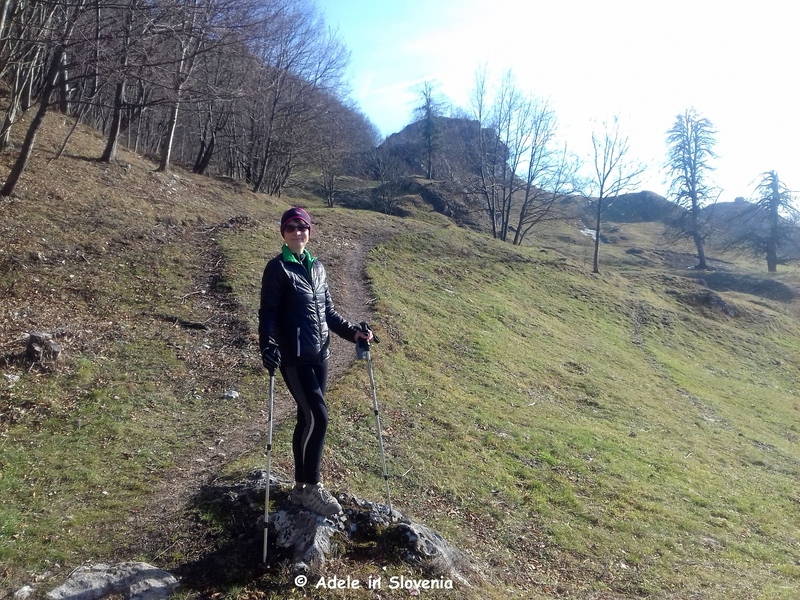 You can choose to walk just part of it, picking and choosing among the points of interest, or you can undertake the entire 14.6km path, which runs through the forest ranging in altitude from 400m – 690m leading to various bee hives, farms, view points and churches. 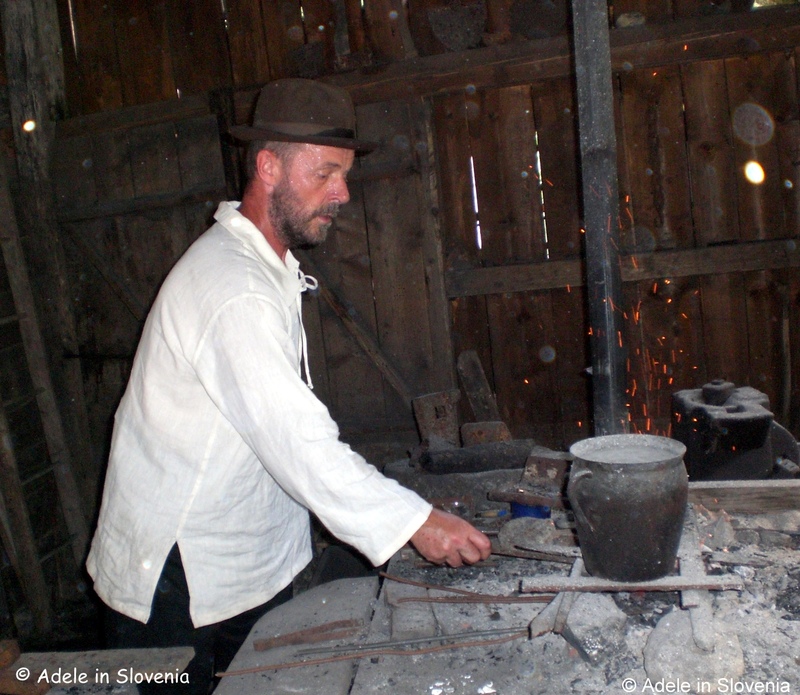 From the Jakuc – Inglič farm, which is at Sredna vas 2, Poljane, cross the main road to reach the covered wooden bridge across the river Sora to the village of Žabja vas. 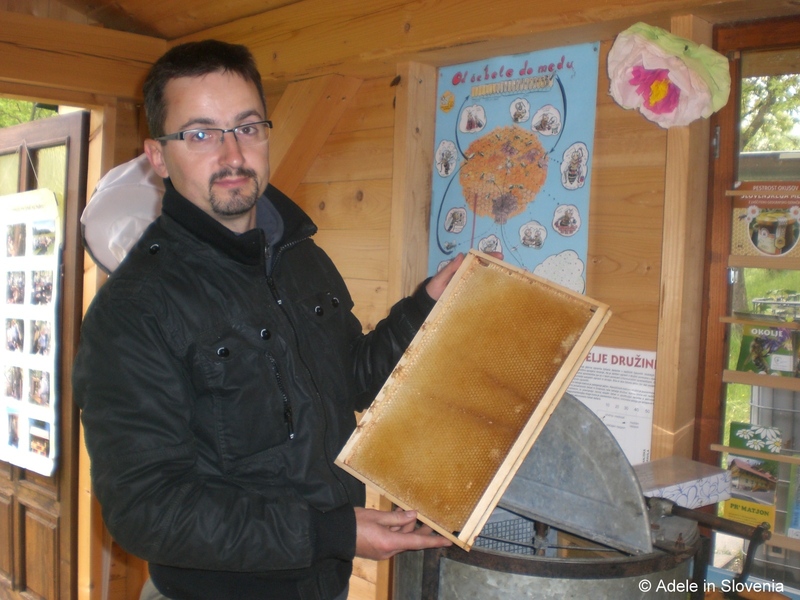 A short walk uphill leads to the ‘v duplu’ hive. 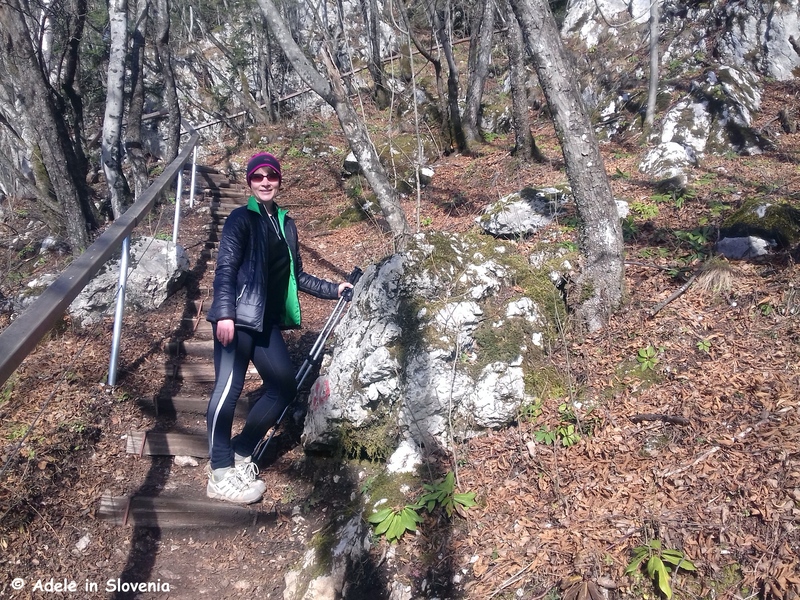 From there the path continues to its highest point, the viewpoint Pešarjev grič (699m). 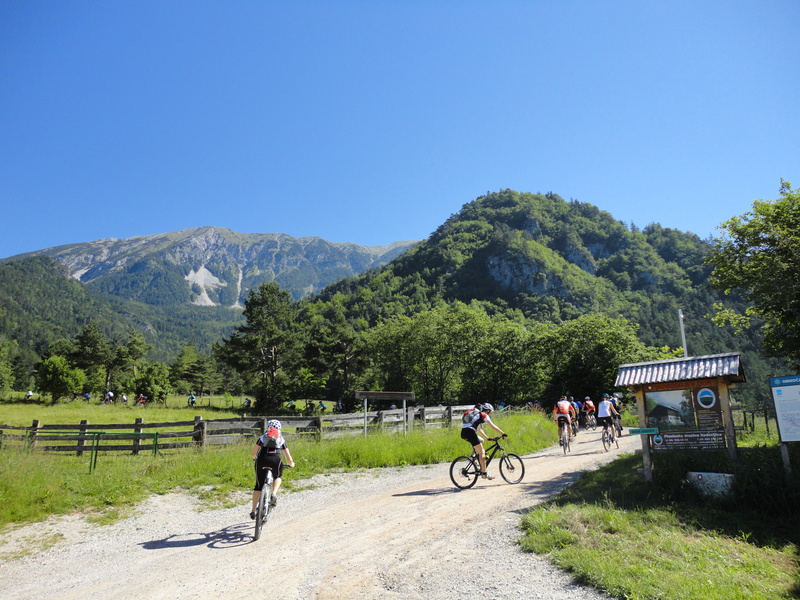 At the chapel in Vinharje the path leads downhill to the Pri Ljubici tourist farm (refreshments available). 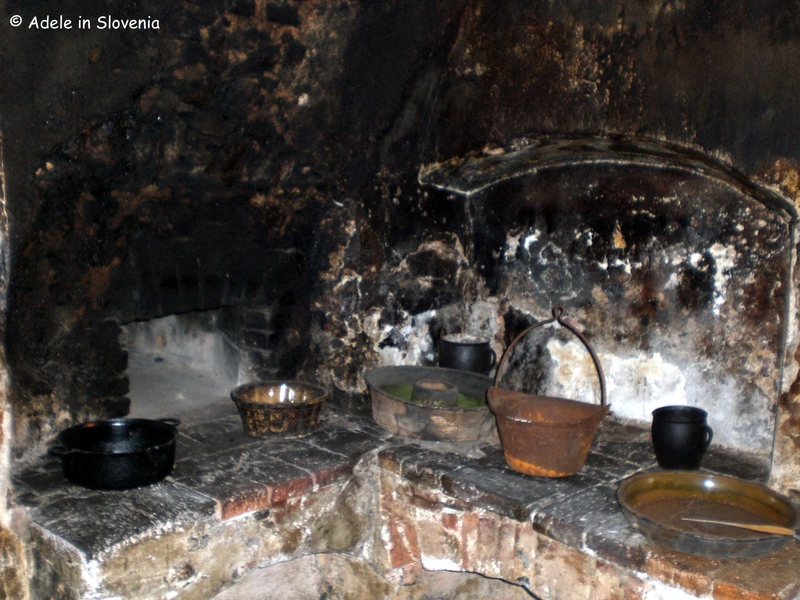 The oldest beehive on the path, dating from the late 1800s, is found at the Pri Bačnarju – Peternelj farm. Unfortunately on the day of my visit, the weather gods were not on my side, dampening (literally!) my plans to hike along the path. Therefore I visited a couple of the hives on foot and others by car, However, as you can see below, when the sun did eventually come out late afternoon, it was glorious and worth the wait! 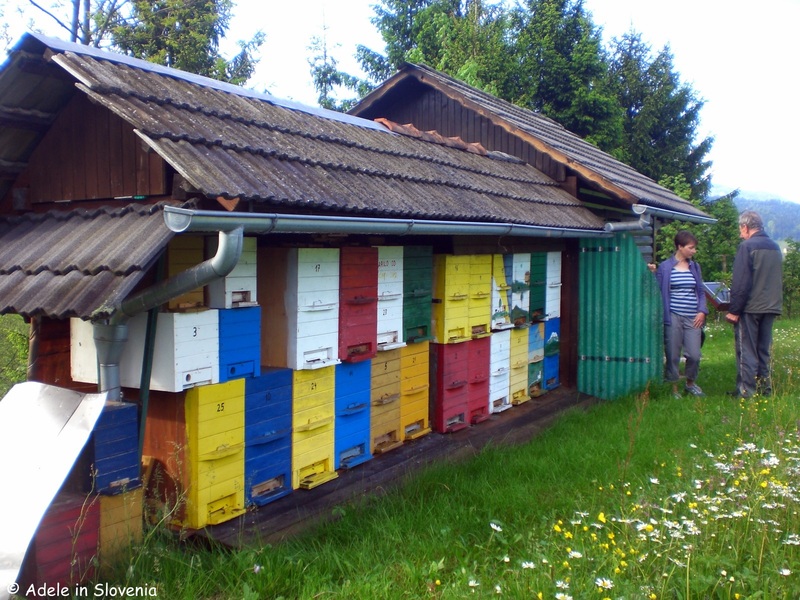 Each of the beehives is unique and, if you are lucky, you will find the friendly beekeepers at home who will be delighted to tell you more about their hives, as was the case when I reached point no. 10 on the path the beehive ‘čebelnjak Pavla Čadeža’. It’s amazing how placid Slovenian bees are. 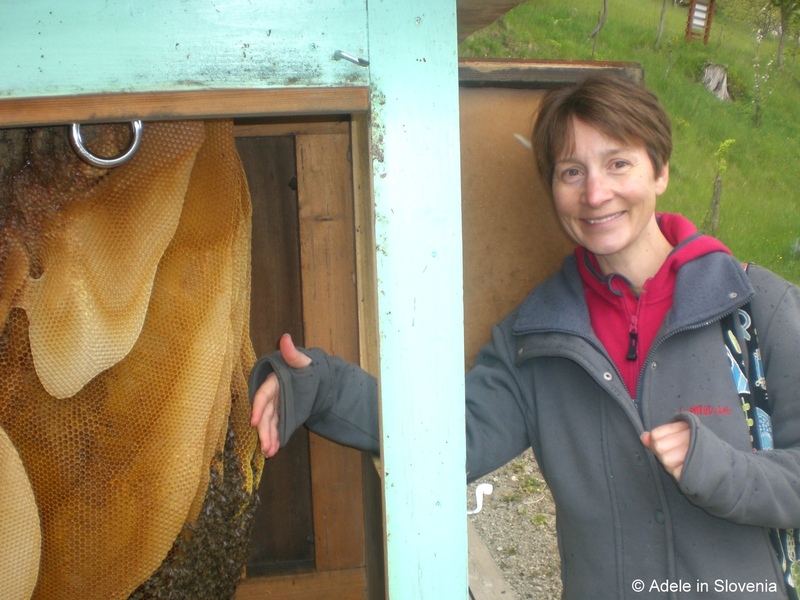 Despite getting right up close to take a look and get some photos, not once did they bother me, but, nonetheless, I couldn’t resist the chance to get up even closer and try out a proper beekeeper’s hat! 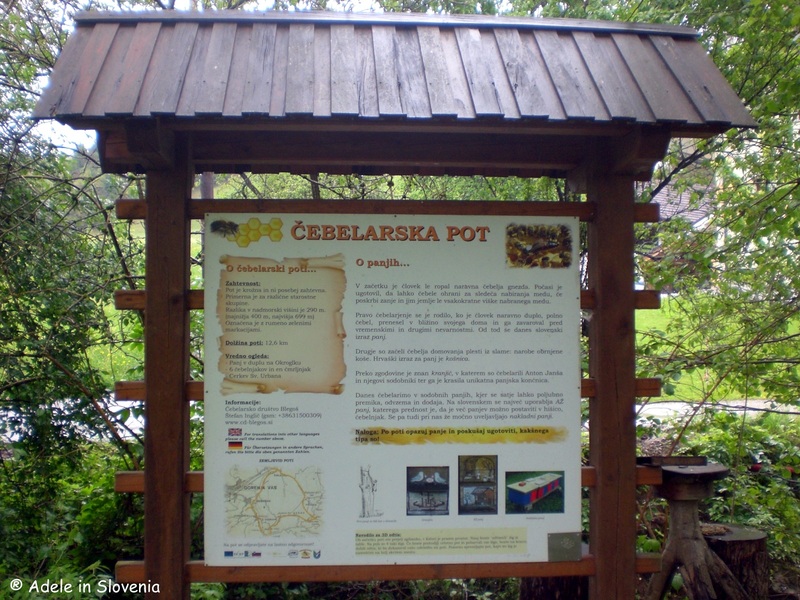 To arrange a visit or for more information and to download the leaflet with the entire route, see the Visit Škofja Loka website here http://www.visitskofjaloka.si/en/experiences/theme-paths/beekeepers-path or you can contact Mr Inglič direct by email: inglic.stefan@siol.net to arrange individual or group visits. 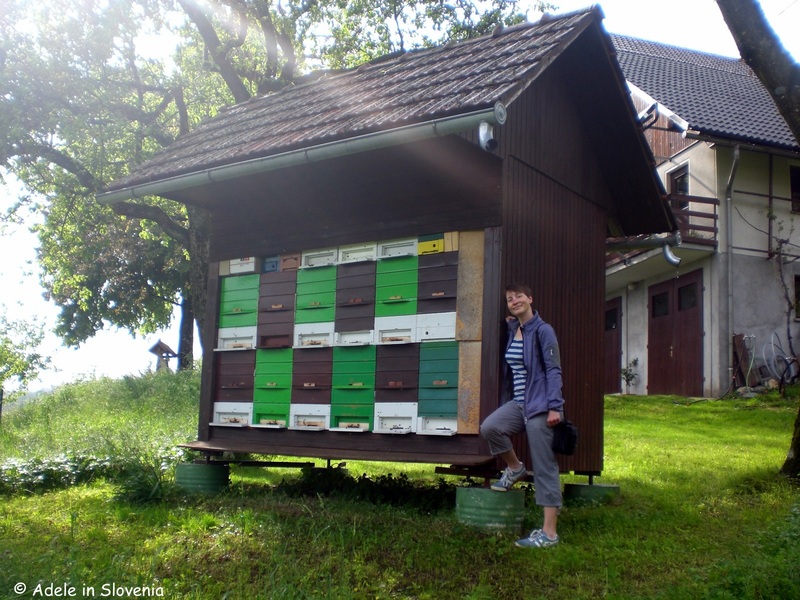 Those interested in beekeeping should definitely make a beeline for Radovljica! 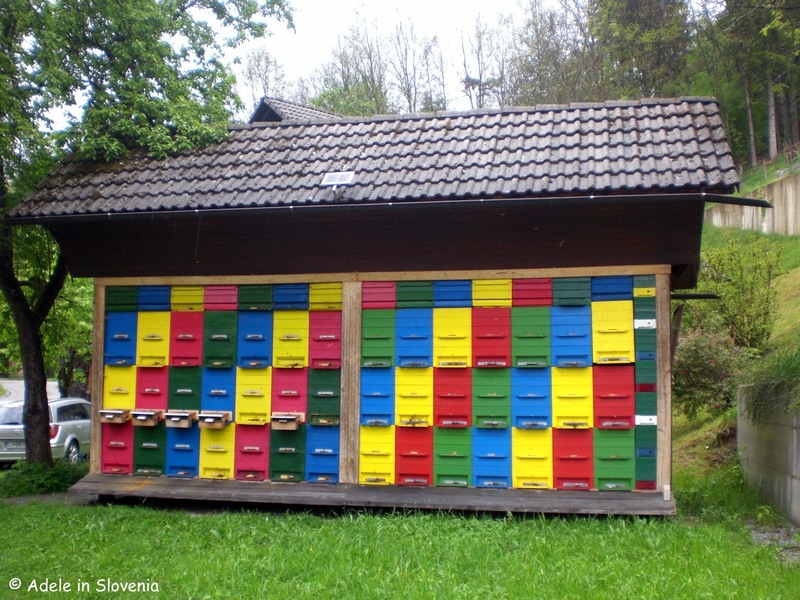 The Radovljica area has a wealth of beekeeping-related sights of interest, all within close proximity, thus making it ideal place to visit for beekeepers or those with an interest in beekeeping. 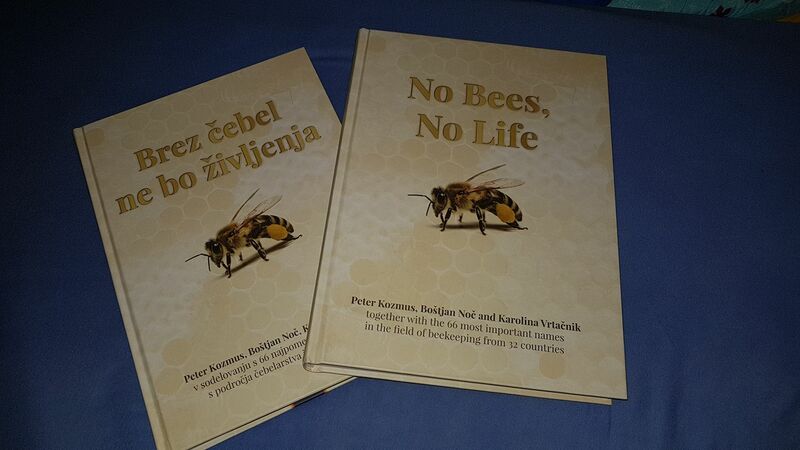 One such example is the group of 38 beekeepers from Estonia who I helped with their plans to visit Radovljica. 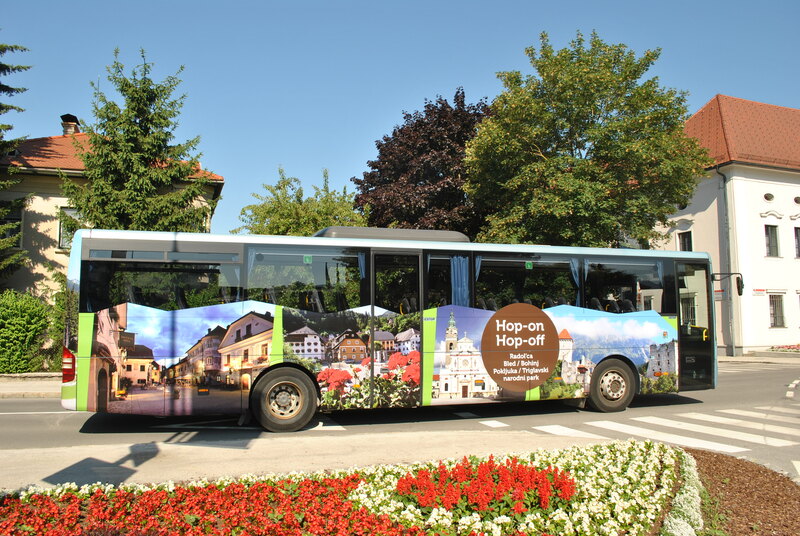 Whilst the main purpose of their trip was beekeeping-related activities, they also managed to find time to do some sightseeing in Ljubljana, took a traditional pletna boat to the island on Lake Bled, and visited Vintgar Gorge. 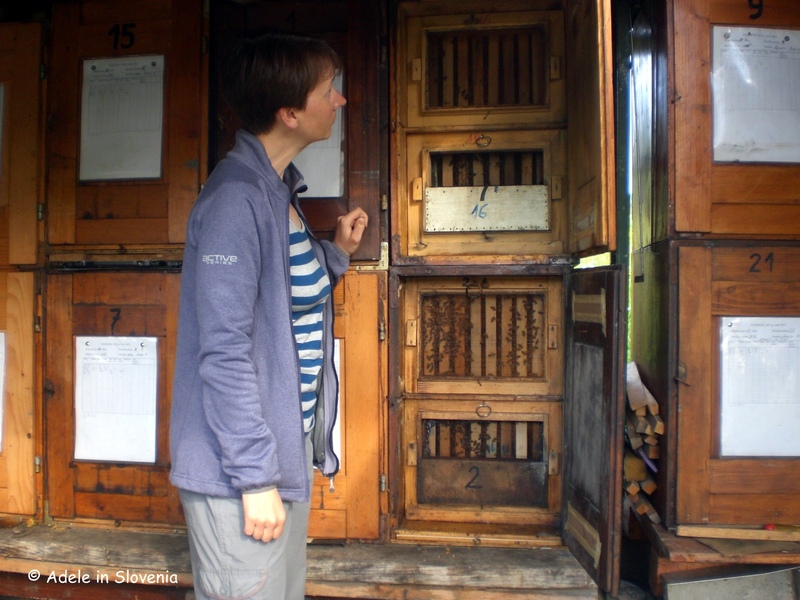 The undoubted highlight, whether a beekeeper or not, is the chance to see and experience up close the hive found on a nearby tree trunk and transported to its current home. 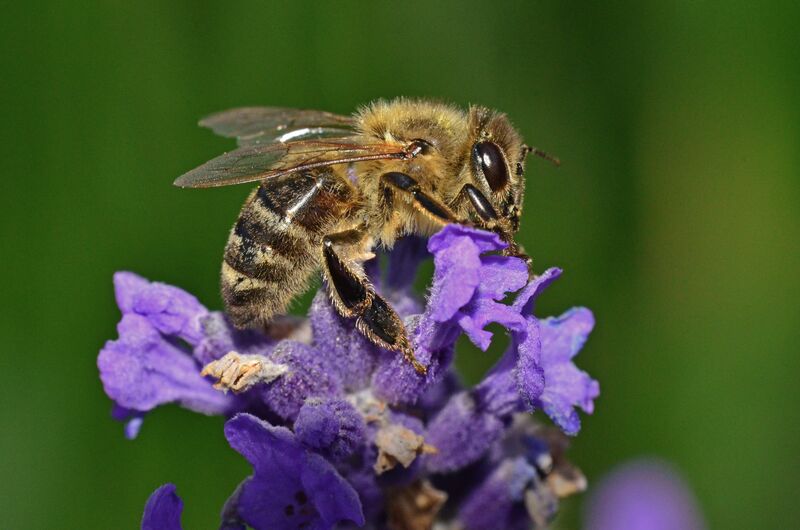 The fact you can get so close is testament to the calm nature of Slovenia’s Carniolan grey bee. 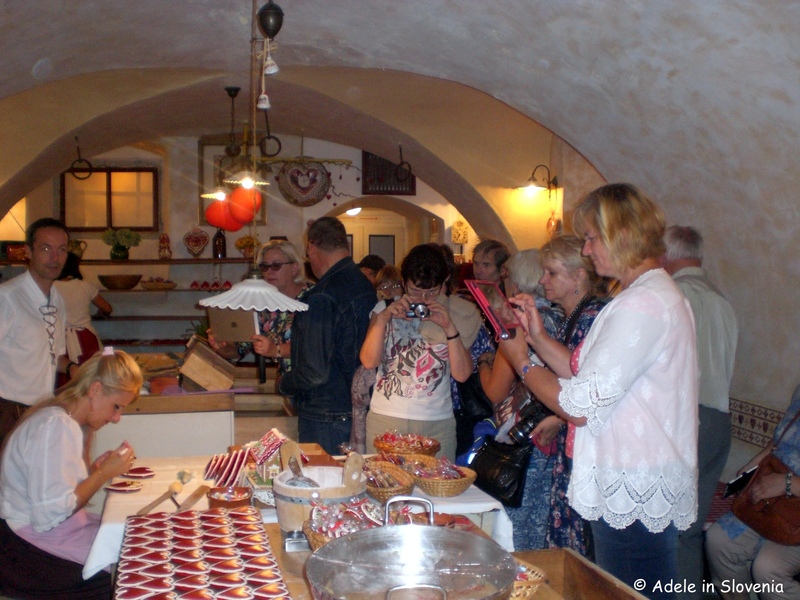 Next the group came to Radovljica, beginning at the Tourist Information Centre where they tasted local honey and chocolate, and had the chance to buy some gifts to take home. 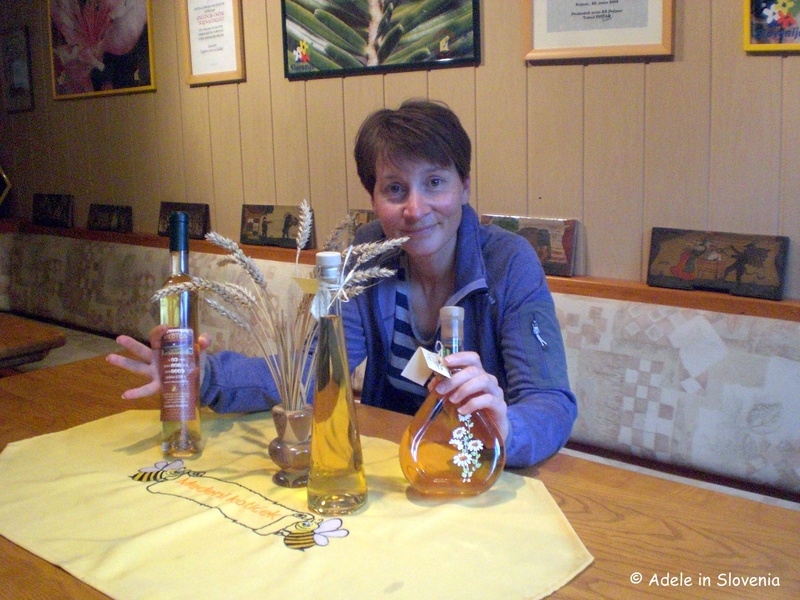 They even brought us some of their own Estonian honey, which, as you can see, the staff enjoyed tasting! 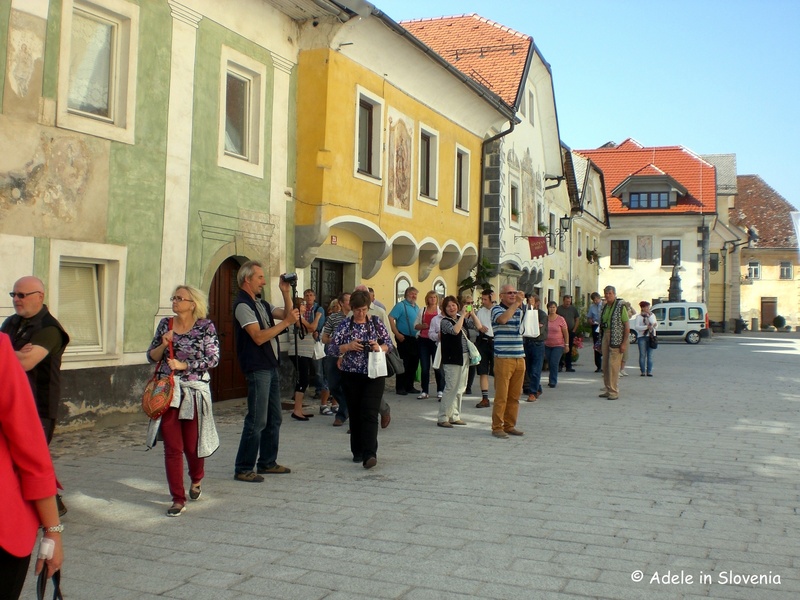 We then took a stroll through the medieval old town to see the main sights of interest – the Šivec House Gallery, the Radovljica Mansion, St. Peter’s Church, and the other wonderful frescoed buildings. 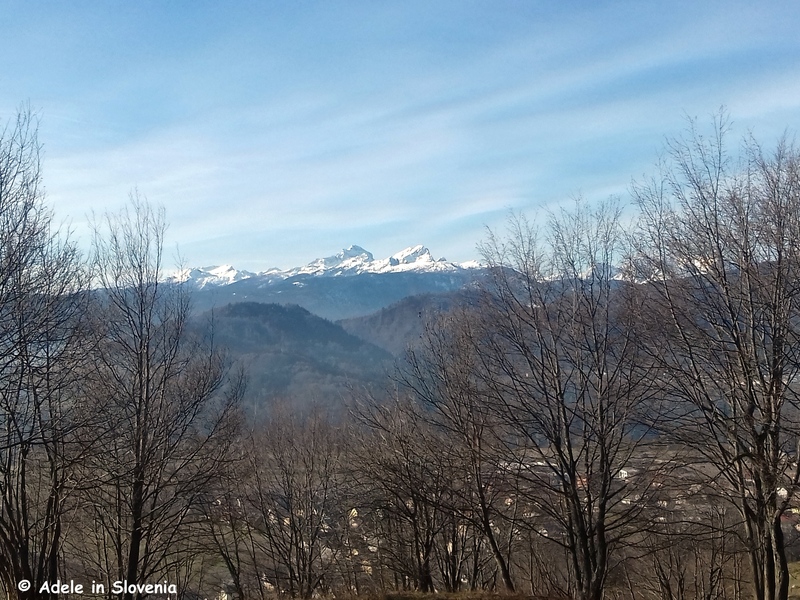 Then it was on to the viewpoint for wonderful views of the Julian Alps, the Jelovica plateau and the Sava river. 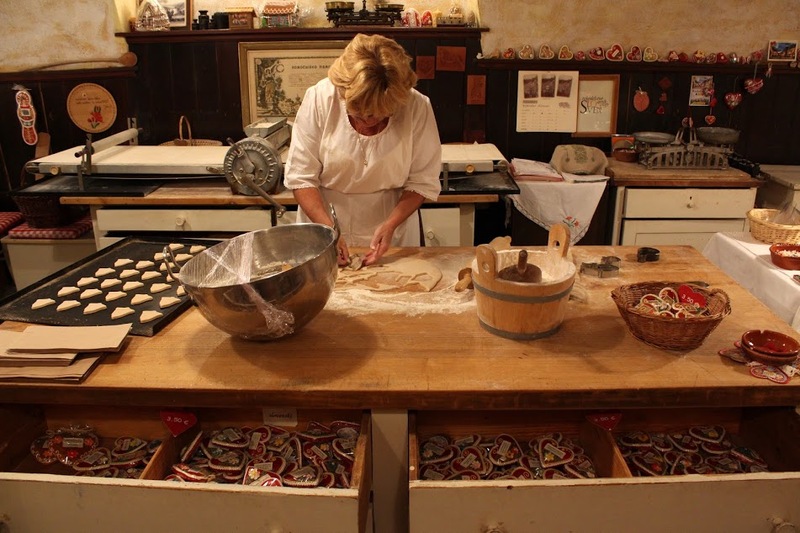 The next stop was to Lectar Inn to watch the process of making and decorating the traditional ‘lectar’ gingerbread’ hearts, made with honey, of course! And a chance to buy souvenirs and/or gifts for loved ones. 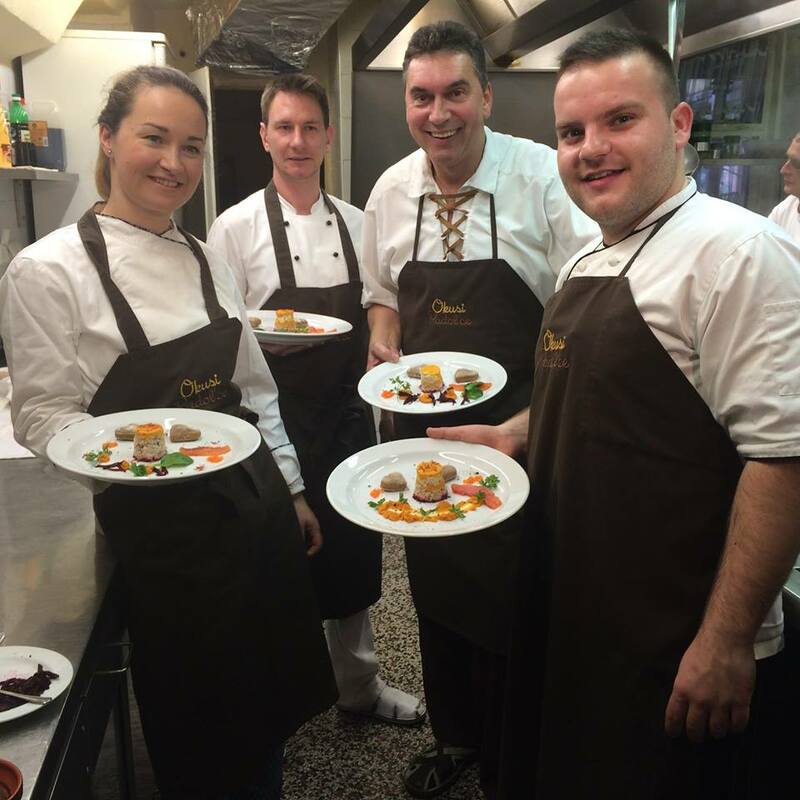 Having seen Radovljica, it was then time to Taste Radol’ca, with a traditional Slovene lunch, also at Lectar Inn, one of the participating Taste Radol’ca restaurants. 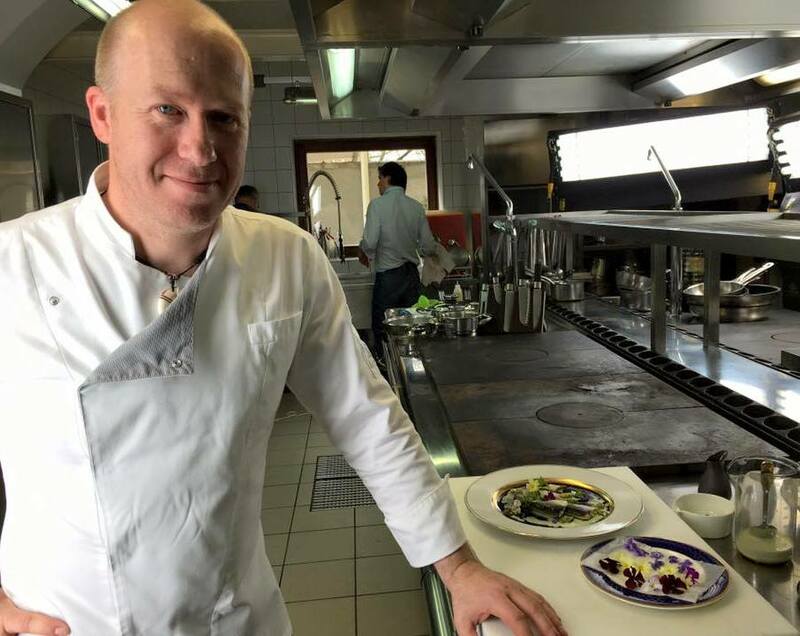 During lunch, the owner Jože entertained us with a few of his favourite songs played on the harmonica – never something to be missed! 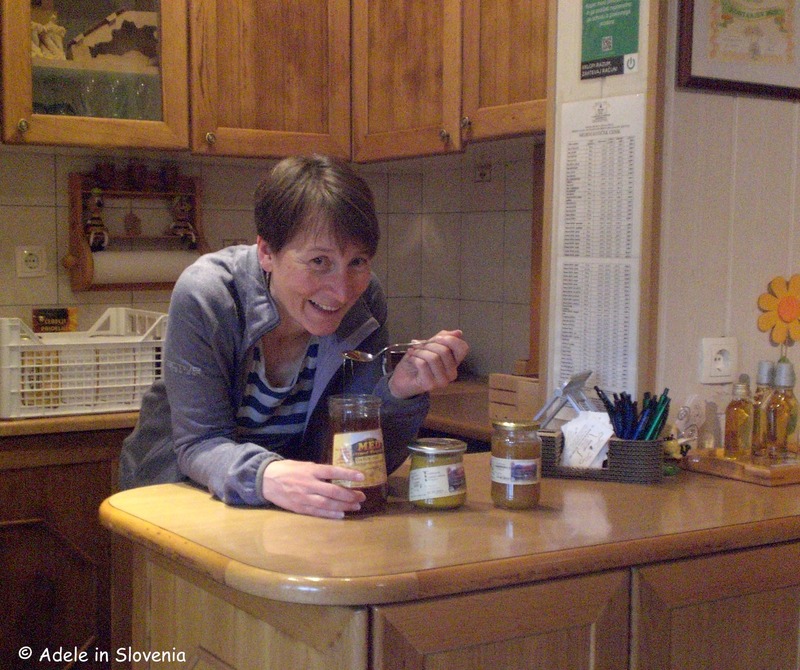 The final stop in Radovljica was to the Museum of Apiculture, housed in the Radovljica Mansion, where visitors can learn all about the history of beekeeping in Slovenia, watch a video (narrated in English by me! 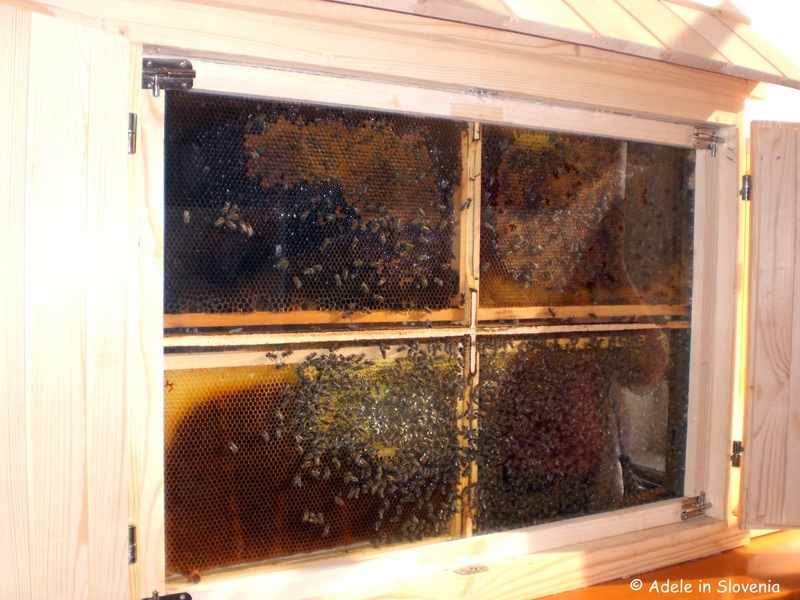 ), and in summer watch the bees hard work diligently in the hive. 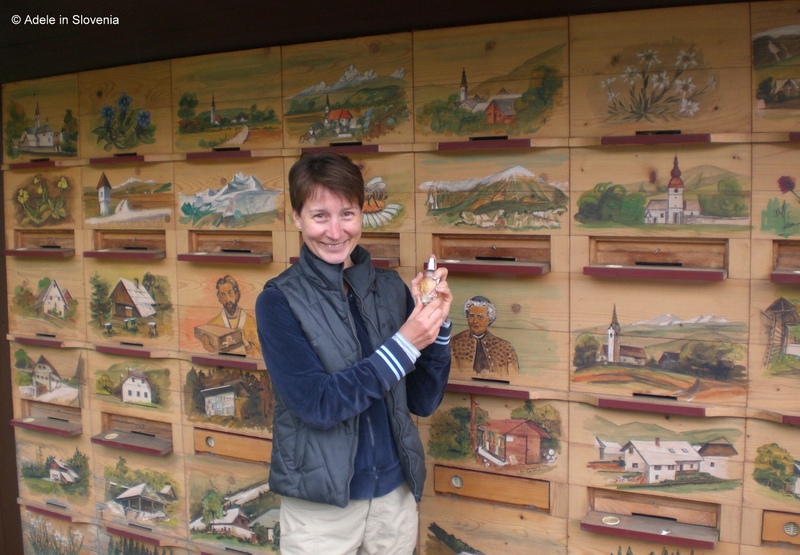 So, as you can see, the Radovljica area really is a beekeeper’s paradise!